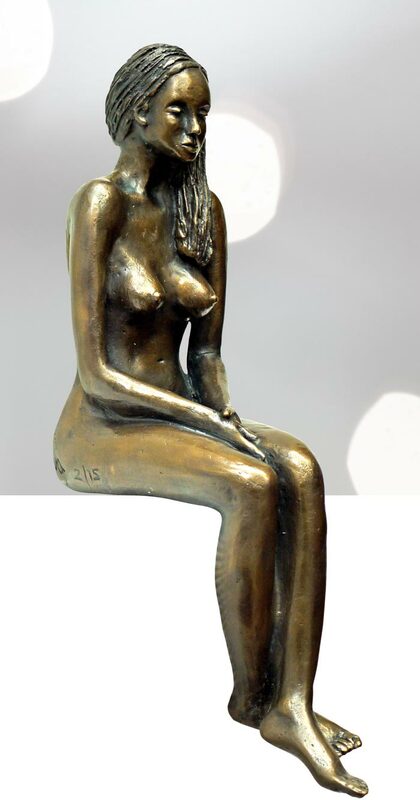 Penny is a beautiful bronze sculpture, delicate detailed, particularly in the face hair and feet. She looks stunning in so many places in a home or workplace; on a window sill, the side of a table, a step, on top of books, or on a marble block. She is solid bronze and she looks particularly lovely with a dark finish.